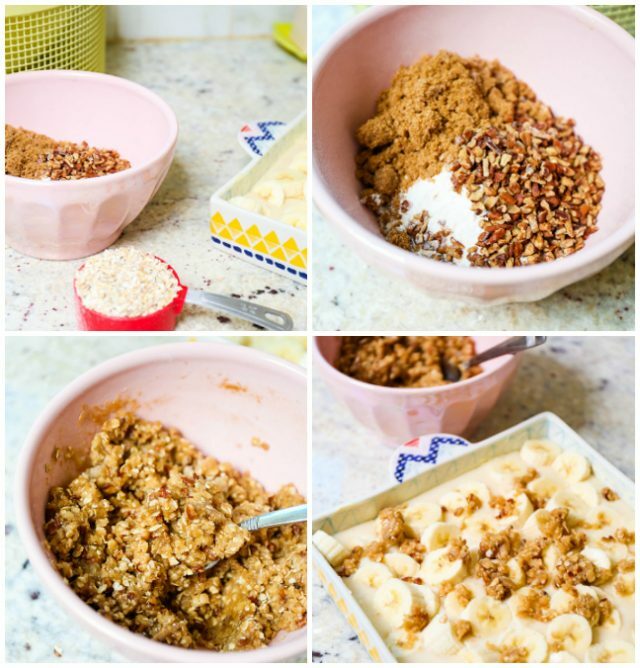 While banana bread is always delish, I have been itching to make something with similar flavors but more like a dessert. 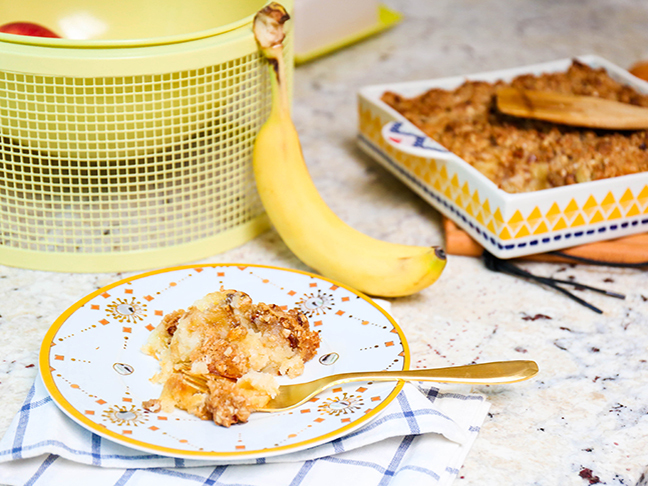 This easy banana bread cobbler recipe is just that! 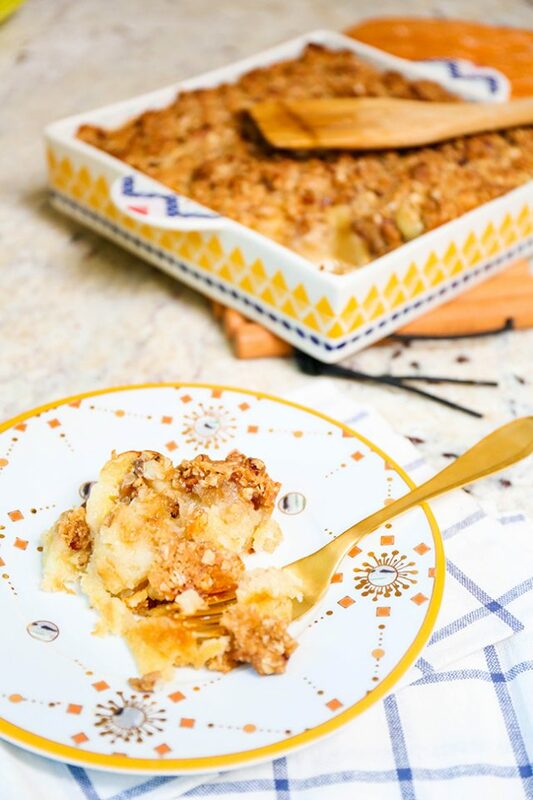 It takes minutes to put together and is “one of the best desserts I’ve ever made.” That’s a direct quote from my husband and kids. Favorite part? 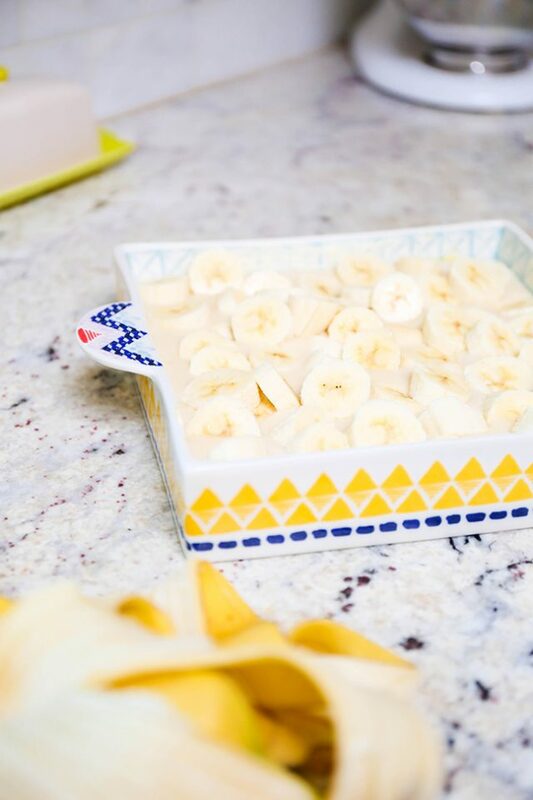 You can use bananas that are barely ripe. 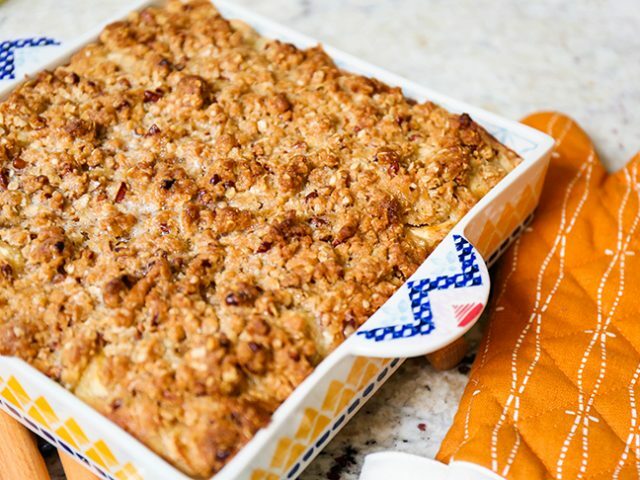 No waiting, like with banana bread! 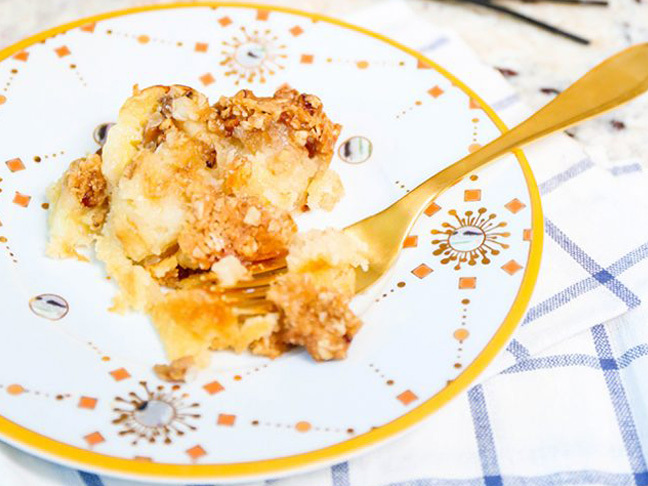 So, grab some bananas, get in the kitchen, and make this banana bread cobbler stat. 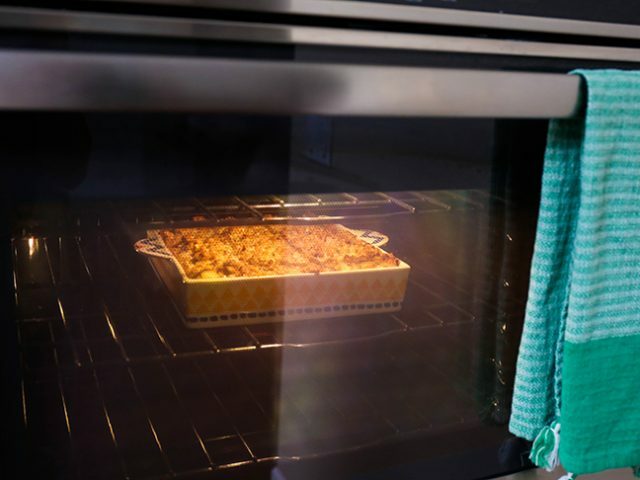 Step 1: Start by preheating the oven to 375 degrees Fahrenheit. Lightly butter a baking dish no smaller than 8"x8". Make the filling first! 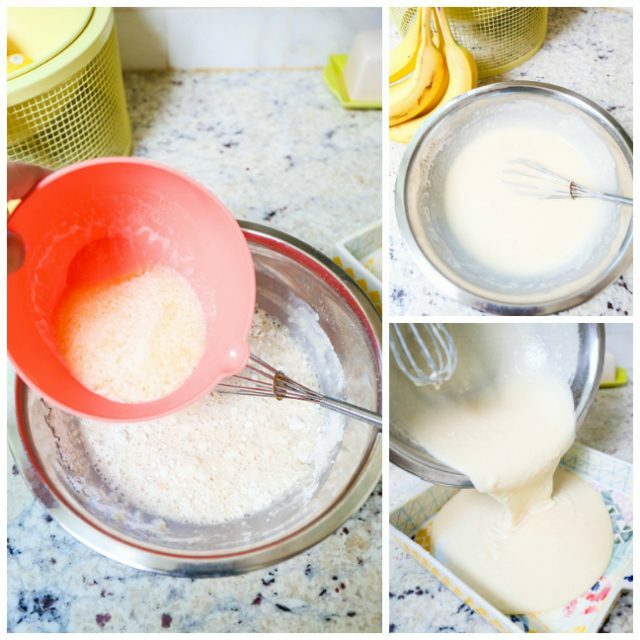 In a large mixing bowl, whisk together the flour, sugar, and milk. Step 2: Slowly whisk in the melted butter and then pour the filling into the baking dish. 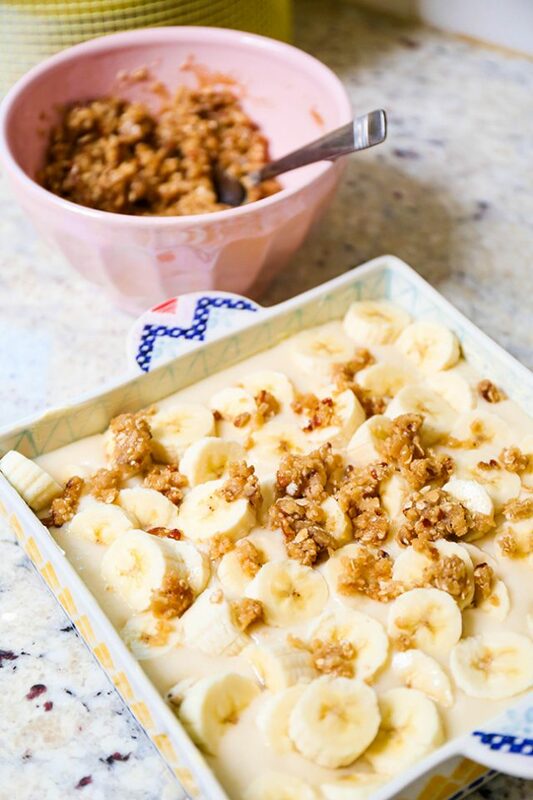 Step 3: After you've poured the filling, top with the sliced bananas. 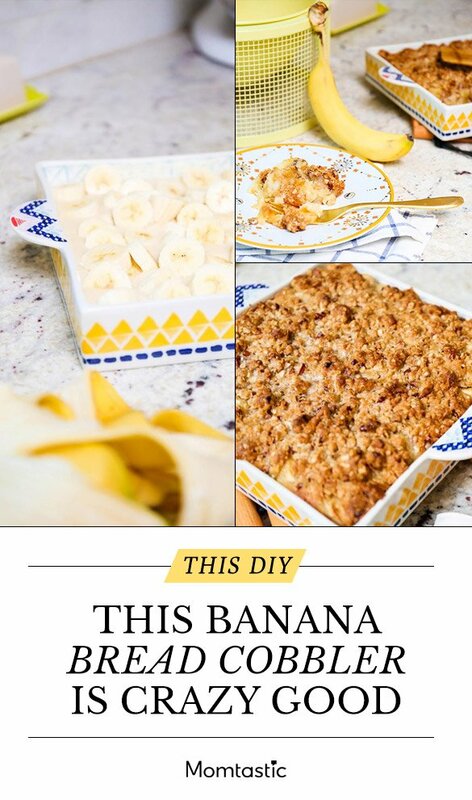 If you're absolutely pro-banana, use 4! If you're a little more conservative, go with 3. Be sure to cover the filling as much as possible. Time to make the topping! Step 4: In a separate bowl, combine the flour, sugars, pecans, and oats. Gently pour the melted butter over the mixture and stir well. 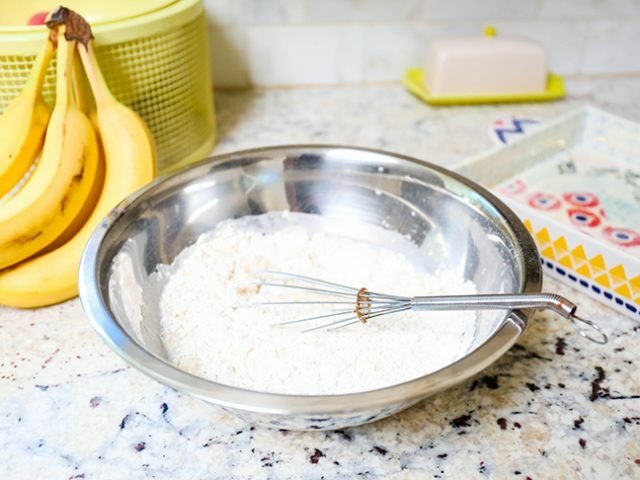 Gently sprinkle over the sliced bananas until the entire surface is covered. Step 5: Bake at 375 degrees for 40 minutes! Step 6: Remove from the oven and let it cool for five minutes before cutting into it. 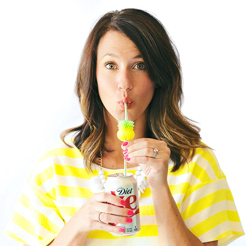 Hopefully you have enough self-control to resist sneaking a taste! But I won't stop you if you do. Step 7: Serve warm alone or with a heaping scoop of vanilla ice cream. 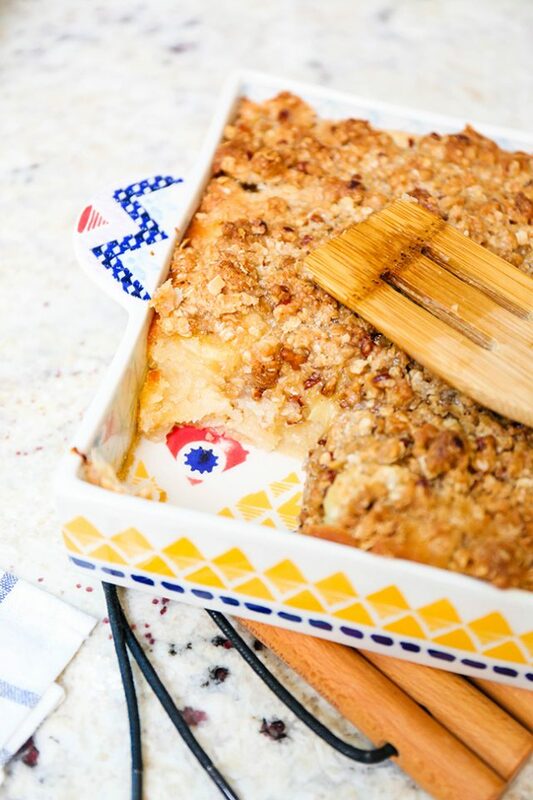 This cobbler is such a crowd pleaser and is easy to customize with your family's favorite fruit. Our second favorite? Raspberries! 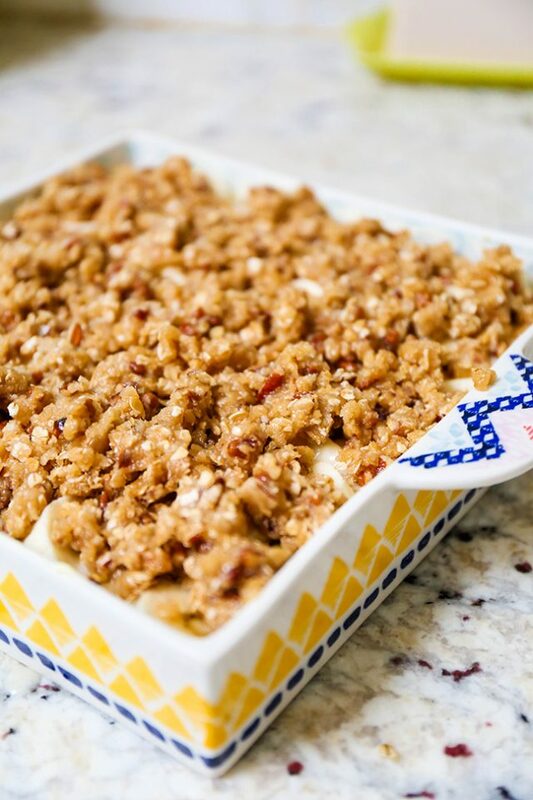 This is one of those desserts that will become a quick staple for the entire family to enjoy!